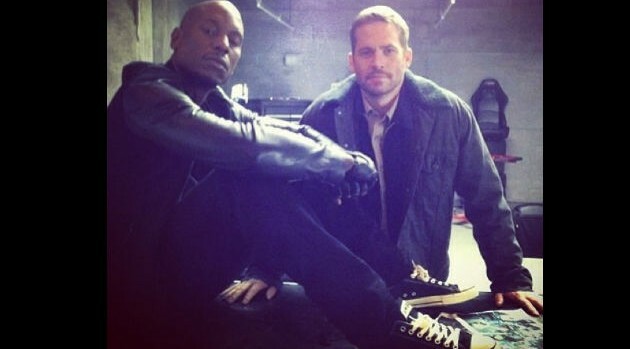 Courtesy of Tyrese’s InstagramEver since news broke that Paul Walker passed away in a car accident on Saturday, Walker’s Fast & Furious costar, Tyrese, has used his social media accounts to express his grief. After visiting the trash site in Santa Clarita, California where Paul died, the singer posted an image of debris taken from the crash via his Instagram page on Sunday. Tyrese later added intimate footage of the Fast & Furious cast celebrating Walker’s 40th birthday. “Not just a family on camera were a real family,” he wrote.